Nevertheless, a person who sets fire to a heap of produce or a dwelling belonging to a colleague is liable, because his intent is to take revenge on his enemies. [Through this act,] he calms his feelings and vents his rage. He is comparable to a person who rends his garments over a deceased person or in rage [on the Sabbath],4 or a person who injures a colleague in an argument.5 These individuals are all considered to be performing a constructive activity, because of their evil inclinations. If, however, the person's intent is to purify the metal, he is liable. This indeed is the practice of blacksmiths; they heat the iron until it glows like a coal, and extinguish it in water to seal it. This is the process of purification for which one is liable. It is a derivative [of the category of forbidden labor] of extinguishing. One may place a bowl21 over a candle22 so that [the light] will not catch on the beams [of the roof]. When a fire catches on to a perfume box,23 a chest, or a [wooden] cabinet, one may bring a goat's skin24 or another substance that will not catch fire and spread it over the portion that has not been consumed, so that the fire will not reach there. If a person left a burning candle on a board,28 one may shake the board, causing the candle to fall. If it is extinguished, it is not significant.29 If he [intentionally] placed it down [before] nightfall, it is forbidden to move [the board]30 even after the candle is extinguished. Transferring36 objects from one domain to another is one of the categories of labor [forbidden on the Sabbath]. Similarly, we have learned according to the oral tradition38 that a person who carries an article from the beginning [of a square39] four cubits long to the end [of that square] is comparable to a person who transfers an article from one domain to another and is liable. A person who transfers an object from one domain to another is not liable until he transfers an object of sufficient size to be useful from a private domain to the public domain or from the public domain to a private domain. transferred less than an amount [that is useful]. Similarly, a person who carries an article from the beginning [of a square] four cubits long to the end [of that square] in the public domain is not liable unless he removes an article of significant size from one side [of the square] and places it down on the other side [of the square]. a) he transfers an object of sufficient size to be useful - As explained in the notes on Chapter 1, it is "purposeful work," מלאכת מחשבת, which the Torah has forbidden. Accordingly, if an object is not of sufficient size to be useful, transferring it on the Sabbath is not considered labor. This minimum amount is referred to with the term שיעור. In Chapter 18, the Rambam lists the minimum amounts of specific substances that are considered useful. b) from a private domain to the public domain or from the public domain to a private domain. - One is not liable for transferring an article from one private domain to another, nor is one liable for transferring an article from a private domain into a carmelit, a domain which is forbidden by Rabbinic decree. The definitions of the various domains with regard to the Sabbath laws are found in Chapter 14.
c) Similarly, one must remove the article from one domain - This is referred to as עקירה. and place it down in the second domain. - This is referred to as הנחה. Unless a person performs both these actions himself, he is not liable. A person is not liable if he merely: removed the article and did not place it down [and another person took it from his hand and placed it down] - This situation is described in the opening Mishnah of the tractate of Shabbat. If a homeowner picked something up to give to a poor man standing outside, and the poor man took it from his hand - since the homeowner did not place the article down (הנחה), he is not liable. placed it down [after taking it from the hand of the person who removed it,] but did not remove it [himself], or - In the example cited above, since the poor man did not pick the article up (עקירה), he is not liable. As the above-mentioned mishnah elaborates, there are several different possibilities for two people to combine in transferring an object, one performing the עקירה, and the other the הנחה. from one side [of the square] and places it down on the other side [of the square]. - performing the הנחה himself. A person who throws an article from one domain40 to another or who hands41 [an article from one domain to a person in another domain]42 is liable for performing a derivative [of the forbidden labor] of transferring. Similarly a person who throws or passes an article by hand from the beginning [of a square] four cubits long to the end [of that square] in the public domain is liable for performing a derivative [of the forbidden labor] of transferring. A person who transfers part of an object from one of these two domains [a private domain or a public domain] to the other is not liable until he transfers the entire object from one domain into the other. Similarly, one is liable if one transferred the articles on one's shoulder. [This applies] although the article is [being carried] more than ten handbreadths high in the public domain,49 for this was the manner in which the sons of Kehat would carry50 [the sacred articles] of the Sanctuary above ten handbreadths high as [Numbers 7:9] states, "They shall carry them on their shoulders. "51 As mentioned, all [the obligations for Sabbath] labors are derived from the Sanctuary. In contrast, a person is not liable for transferring an article on the back of his hand,52 with his foot, in his mouth,53 in the crook of his arm,54 in his ear, in a pocket sewn into his garment when the opening of the garment is facing downward,55 between one garment and another,56 in the hem of one's garment,57 in his shoe, and in his sandal. [The rationale is that] he did not transfer the articles as people usually do. [The following rules apply when] a person transfers a burden, carrying it on his head: If the burden was heavy58 - e.g., a full sack, a chest, a cabinet, or the like - and the person places it on his head and holds it with his hands,59 he is liable. This is the normal manner in which these articles are transferred, and this is thus equivalent to a person carrying an article on his shoulder or in his hand. When two people [are standing near each other] and a portion of the four cubits [in which one may carry] extends into the four cubits [in which the other may carry],69 they may both bring [food] and eat in the center, provided one does not take something from [the area which is solely] his and bring it into [the area which is solely] his colleague's. Based on the above, it is permitted for a person to lift up an article from the public domain and give it to a colleague who is near him, within his four cubits.72 The colleague may give it to another colleague standing at his side [who may pass it further]. Even if the article changes hands hundreds of times or is transferred several millim73 on the Sabbath, this is permissible,74 because each individual moved it only within the four cubits [granted] him. Whenever we have mentioned [the phrases], "from the beginning [of a square] four cubits long to the end [of that square]" or "one who carries an object four cubits is liable," the intent was [the distance] from the beginning of the diagonal of a four cubit [square] until its end. If a person carries an object for a shorter distance, he is not liable. Thus, there are three [levels of responsibility that apply when] a person lifts up an object from one place in the public domain and places it down in another place in the public domain: If there are less than four cubits between these two places, the act is permitted. If there are more than four cubits but less than five and three-fifths cubits between the two places, [the act is forbidden, but the person] is not liable.77 If there are more than five and three-fifths cubits, the person is liable, because he moved an article beyond the diagonal of a square [four cubits long]. This is one of the 39 categories of labor forbidden on the Sabbath. In the construction of the Sanctuary, it was necessary to kindle a fire in order to cook the herbs used for the dyes. Similarly, much of the metal work was perfomed after the metals were heated in a fire. See Chapter 8, Halachah 8. See Chapter 10, Halachah 10. Note Shulchan Aruch HaRav, Kuntres Acharon 495, which explains that in this halachah, the Rambam outlines two types of fires for which one is liable. He begins the halachah with the statement that a person is liable for kindling a fire, "provided he needs the ash that it creates." This refers to a fire kindled for no purpose other than the production of ash. Afterwards, the Rambam begins to describe when a person is liable for kindling fires that are used for constructive activity. e.g., to generate warmth or to cook. In these instances, there is no requirement that one require the ash. The commentaries have raised many questions concerning this ruling and have also noted the apparent contradiction to the ruling in Chapter 9, Halachah 6, which holds a person who heats metal liable for cooking. This is one of the 39 categories of labor forbidden on the Sabbath. Extinguishing was necessary for the construction of the Sanctuary, because it was used to create coals that were needed for the fires used to cook the herbs used for dye. Although these fires could also have been heated with wood, a fire heated with coals burns better (Kiryat Sefer). See also the Sefer Yereim which mentions that extinguishing was necessary for the work of the goldsmiths and silversmiths. Regardless of the size of the fire, a piece of charcoal is created. As mentioned in the notes on Chapter 1, Halachah 7, this ruling follows the opinion of Rabbi Yehudah, who maintains that one is liable for the performance of a [forbidden] labor even if he has no need for the actual labor he performed (a מלאכה שאינה צריכה לגופה). As mentioned in the notes on that halachah, many authorities, including the Shulchan Aruch (Orach Chayim 27:1, 334:27, differ and do not hold a person liable in such an instance. According to these authorities, a person is liable for extinguishing only when he requires the coals produced. In one of his responsa, Rav Avraham, the Rambam's son, mentions the difference between a glowing piece of metal and a coal that comes from wood. When a fire fueled with wood is extinguished, a new entity - charcoal - is produced. Hence, one is liable for performing a forbidden labor. In contrast, when a glowing piece of metal is extinguished, no change is made in the metal itself unless the metal was heated with the intent of purifying it. It must be noted that there are authorities who preceded the Rambam - Rav Yehudai Gaon, Rav Hai Gaon, and Rabbenu Chanan'el - who hold a person liable for extinguishing a glowing piece of metal. As mentioned in the notes on the previous halachah, most of the authorities in the Rambam's era, and surely those in the subsequent eras, exempt a person for such an activity. According to the Rambam, this applies only with regard to a glowing piece of metal and not to a burning coal. The authorities who maintain that one is not liable for performing a מלאכה שאינה צריכה לגופה, however, would allow one to extinguish a burning coal in this instance. Because of the danger involved, the Rabbinic prohibition against performing such an activity is waived (Shulchan Aruch, Orach Chayim 334:27). As mentioned above, although there is a Rabbinic prohibition involved, it is waived because of the danger. The Maggid Mishneh states that seemingly the opinions that do not accept Rabbi Yehudah's view regarding a מלאכה שאינה צריכה לגופה would not hold the person liable unless his intent in extinguishing the candle was for the charcoal produced. See the commentaries on the Shulchan Aruch (Orach Chayim 365:1). As the Ra'avad emphasizes, this ruling follows those views which maintain that a person is liable for performing a מלאכה שאינה צריכה לגופה. According to the view which differs, even though it is forbidden to extinguish a fire to save one's money, one would not be liable. This allows for greater leniencies, as will be explained. Needless to say, if there is a threat to life the fire may be extinguished. See Chapter 2, Halachah 23. The Ramah (Orach Chayim 334:26) follows the view that one is not liable for performing a מלאכה שאינה צ ריכה לגופה, and the prohibition against extinguishing a fire is merely Rabbinic in nature. Accordingly, he states that in the present time, it is permissible to extinguish a fire that has begun to blaze in a city. In his time, it was common for the commotion caused by a fire to serve as an invitation for the gentiles to raid the Jewish quarters of the city, rampaging, pillaging, and creating havoc. In such a situation, it was very possible that Jewish lives would be threatened. Hence, he maintains that it is preferable for the fire to be extinguished than for such a situation to be created. Furthermore, in the cramped conditions of the ghettos, it was highly possible that the lives of the children, the elderly, and the disabled would be threatened by a fire. Nevertheless, even the Ramah did not grant wholesale leniency on this matter and stated that, in practice, the ruling must be determined on the basis of our appreciation of whether there is a threat to life according to the circumstances at hand. Contemporary authorities add that because of the threat of electrical fires, gas explosions, and the like, a fire constitutes a real danger and should not be allowed to spread. Although there is a Rabbinic prohibition against even indirectly causing a fire to be extinguished, this prohibition is waived in the face of property loss (Ramah, Orach Chayim 334:22). The printed text of the Rambam's Commentary on the Mishnah (Shabbat 2:2) states "It is forbidden to cause [indirectly] a fire to be extinguished." Rav Kapach notes, however, that in authoritative manuscripts of that text, this line is erased. See also Chapter 5, Halachah 13. This equivocation in the Rambam's mind is also reflected in a difference of opinion between the Shulchan Aruch and the Ramah. The Shulchan Aruch (Orach Chayim 334:22) quotes the Rambam's ruling that it is permitted to cause a fire to be extinguished indirectly. The Ramah, however, states that this is permitted lest a loss occur. This implies that there is a Rabbinic prohibition involved, but that the prohibition is waived because of the possibility of property loss. This act is permitted on the Sabbath itself. Although the bowl is being used for the sake of the beam, an article which may not be moved on the Sabbath, there is no prohibition involved (Shulchan Aruch HaRav 277:8; Mishnah Berurah 277:23). Needless to say, the bowl must be suspended in a manner that allows enough ventilation for the lamp to continue burning. Our translation is based on Rav Kapach's version of the Rambam's Commentary on the Mishnah (Shabbat 16:5). In his Commentary on the Mishnah (loc. cit. ), the Rambam explains that a goat skin will become singed by a fire, but will not burst into flames. I.e., one is not liable. Furthermore, it is permissible to do so. Since it is not a certainty (פסיק רישא, see Chapter 1, Halachah 6) that the fire will be extinguished, this was not forbidden. The Tur (Orach Chayim 334) states that one may not have the intention of extinguishing the fire, but merely of preventing it from spreading further. Note the difference of opinion between the Magen Avraham and the Turei Zahav if that ruling is accepted. Tosafot, Shabbat 120a, accept the basis of the ruling cited by the Rambam, but maintain that one must use liquids other than water. Pouring water over a garment resembles the forbidden activity of laundering and is not permitted on the Sabbath, even in this situation. The Shulchan Aruch (Orach Chayim 334:24) favors Tosafot's opinion. Based on Shabbat (loc. cit. ), Rabbenu Yitzchak Alfasi and the Ra'avad differ and forbid this leniency. They maintain that although it is permitted to cause a fire to be extinguished indirectly, placing water in such proximity to the fire is no longer considered an indirect activity. As obvious from the previous note, the Shulchan Aruch (loc. cit.) does not accept this opinion. I.e., it was not placed there with the intention that it remain there on the Sabbath (Mishnah Berurah 277:12). The commentaries have raised many questions about this ruling, since it is almost certain that the candle will be extinguished when it falls. Although the person does not intend to extinguish the candle, since this is an inevitable result of his actions (פסיק רישא), seemingly, it should be forbidden, as stated in Chapter 1, Halachah 6. (Note, however, Mishnah Berurah 277:14). For this reason, the Shulchan Aruch (Orach Chayim 277:3) states that this applies only with regard to a wax candle or an oil lamp if the oil has already burned out. In this instance, it is possible that the candle will continue burning even if it falls. In contrast, an oil lamp that contains oil may not be moved in this manner. The Maggid Mishneh, however, explains that the Rambam's ruling can be accepted even with regard to an oil lamp which contains oil. The Aruch states that a person is not held liable when he performs an act that will inevitably bring about the commission of a forbidden labor, if he is displeased with the fact that the labor was committed (פסיק רישא דלא ניחא ליה). To apply that concept to the present situation, although spilling the oil from the lamp is considered as extinguishing the lamp, since th person did not intentionally desire to spill it and he regrets the loss of the oil, he should not be held liable. The commentaries also point to several other rulings that indicate that the Rambam accepts this principle. Our translation is a slight extension of the actual text of the Mishneh Torah, which states לטלטלו, concluding with a masculine suffix that seemingly refers to the candle, rather than the board. Nevertheless, as the commentaries point out, it is self-evident that the candle is forbidden to be moved. The new concept brought out by this law is that since the candle was intentionally left on the board before the commencement of the Sabbath, as explained in Chapter 25, Halachah 17, the board is considered a base for a forbidden object and is also muktzeh, forbidden to be moved (Shulchan Aruch, loc. cit.). As explained in Chapter 6, our Sages forbade a Jew to instruct a gentile to perform a forbidden labor on the Jew's behalf on the Sabbath. We are not, however, obligated to prevent the gentile from performing a forbidden labor for his own sake. Thus, we cannot tell him to extinguish the fire, nor are we required to tell him to refrain from doing so. Indeed, this portion of the halachah is quoted in Halachah 4 of that chapter. Exodus 20:10 states, "Do not perform any work, neither you, your son, your daughter,..." implying that a father is responsible for seeing that his children rest on the Sabbath. For this reason, any forbidden labor that will benefit his father may not be performed by a child (Maggid Mishneh). The expression "the court" refers to the communal authorities of the Jewish people. In a larger sense, it refers to the community as a whole. From Chapter 24, Halachah 11, it would appear that the Jewish court is required to restrain a child from performing any violation of the Sabbath laws that originates in the Torah itself. This contradicts the Rambam's statements here and in Hilchot Ma'achalot Asurot 17:27. Among the resolutions of this difficulty is that in the halachah cited, the Rambam is speaking about an activity that will benefit the child's father. See the notes on that halachah. I.e., as long as one does not instruct a gentile to extinguish the fire, one may indirectly encourage him to do so. Since the gentile has not been promised anything specific, he is considered to be working on his own behalf. Our translation is based on the authoritative manuscripts of the Mishneh Torah. The translation of the standard printed version of the text would be "Bringing articles or removing articles from...." Whether one is bringing an article in or removing it, one is transferring it. See the Rambam's Commentary on the Mishnah (Shabbat 1:1). The wording of the manuscripts avoids the difficulties mentioned by the Lechem Mishneh and others that arise from Shabbat 96b. Eruvin 17b derives the prohibition against the transfer of articles from one domain to another from the exegesis of Exodus 16:29. Tosafot (Eruvin, loc. cit. ; Shabbat, loc. cit.) explain that both verses are necessary: one to teach that bringing an article in from the public domain to a private domain is forbidden, and the other to teach the converse, that it is forbidden to take an article out from the private domain to the public domain. The Rambam (particularly according to the version of the Mishneh Torah we have quoted) appears to view the concept of transferring as one activity which is prohibited on the basis of the oral tradition. Nevertheless, unlike the other categories of forbidden labor, in this instance there are allusions within the Torah itself. To make this point, he quotes the most obvious allusion, leaving the one in Eruvin for the scholars. The bracketed additions are based on Halachot 15 and 18. Rashi (Shabbat 8a) states that in the construction of the Sanctuary, the craftsmen would throw their needles to each other. In the construction of the Sanctuary, the beams for the walls of the Sanctuary were passed from the public domain to the storage wagons, which were considered as private domains (Shabbat 11:2). Tosafot, Shabbat 2a explain that, in contrast to the other categories of forbidden labor, the consequence of the fact that the status of transferring is "an inferior labor," is that if the derivatives had not been found in the construction of the Sanctuary, they would not had been forbidden. As mentioned in the notes on Chapter 11, Halachah 14, a person is not liable for performing a forbidden labor on the Sabbath unless he performs it in an ordinary manner. Mustard seed is very small. The Rambam chooses this example for certainly a sufficient quantity of mustard seed will have been transferred to the other domain if the majority of the container has been transferred. In contrast, were the container to hold larger articles, it is possible that no one article would have been transferred. Nevertheless, even when the contents are mustard seed, the person is not liable for the reasons stated by the Rambam. Based on Shabbat 91b, the Merkevet HaMishneh draws attention to an apparent contradiction between the Rambam's decision here and in Hilchot Geneivah 3:2. This reflects the Rambam's interpretation of the expression, Shabbat, loc. cit., אגד כלי שמיה אגד. Rashi and Rabbenu Chanan'el interpret this phrase slightly differently. In this context, it is worthy to note Rabbi Akiva Eiger's reference to Tosafot, Pesachim 85b. There it is explained that this principle applies only to a container that has a receptacle. If, however, an entity is suspended from a stave, different rules apply. As stated in Chapter 11, Halachah 14, usually a right-handed person is not liable if he performs a labor with his left hand. With regard to carrying, however, this is not the case, since a person will frequently carry an object with his weaker hand. Shulchan Aruch HaRav 301:39 interprets this as referring to a cloth that one is wearing. Even though the person is not holding the money in his hand, he is liable for transferring it. From this ruling, it is clear that a person who transfers objects in his pockets is liable just as if he transferred them by hand. As the Rambam states in Chapter 14, Halachah 7, the space ten handbreadths above the ground in a public domain is a makom patur, a place where one is not liable for carrying. Hence, one might think that a person is not liable for carrying an object on his shoulders, for surely it would be held above that height. When the Jews broke camp in their journeys through the desert, the Sanctuary was taken down, and erected again at the site of the new encampment. The boards, coverings, and curtains of the Sanctuary would be transported by the other Levite families on wagons. The sons of Kehat would carry the ark, the table, the menorah, and the altars on their shoulders. More specifically, the verse cited states, "the labor of the Sanctuary is upon them." Since the Torah specifically refers to carrying in this fashion as "labor," although, as explained above, there is reason to exempt a person who carries an object on his shoulder, the person is held liable. Our translation is based on the Rambam's Commentary on the Mishnah (Shabbat 10:3). Others render this term as "in an abnormal manner." Here also, our translation is based on the Rambam's Commentary on the Mishnah (Shabbat, loc. cit.). With this phrase, the Rambam explains the term אפנדתו, Shabbat, loc. cit., according to his Commentary on the Mishnah. Others render this term as "money belt." But not in a pocket. Bava Metzia 105b relates that it was customary to carry a burden weighing four kabbim or more on one's head. In contemporary measure, this figure is approximately five and a half kilograms or twelve pounds. The Ma'aseh Rokeach states that a person who does not hold the article with his hand is not liable. Balancing a heavy article on one's head is a skilled task that only few individuals are capable of performing. Hence, it is not considered an ordinary manner of transferring an article. The Ma'aseh Rokeach states that in this instance, even if one holds the article in one's hands, one is not liable, since this is not the ordinary way in which an article is transferred. This law applies universally, even in places where it is common to carry articles on one's head. See Shabbat 92a regarding the practice of the inhabitants of Hotzel, a city in Babylon (Maggid Mishneh). As mentioned above, the Rambam states in Chapter 14, Halachah 7 that the space ten handbreadths above the ground in a public domain is a makom patur, a place where one is not liable for carrying. Hence, one might think that a person is not liable for carrying if he lifts an object above that height while transferring it in the public domain. Nevertheless, since the article does not come to rest in the makom patur, one is held liable (Shabbat 8b,9a). The Ra'avad questions the Rambam's interpretation of that Talmudic passage and offers an alternative, which is accepted by the Rashba and Tosafot. The Rambam's interpretation is also offered by Rashi. (Alternatively, it is possible to explain that the Rambam's intent is that this is an ordinary, and not an abnormal, manner of carrying. As reflected in Chapter 6, Halachah 22, and Chapter 20, Halachah 7, the Rambam does not place any restrictions on carrying within a square of four cubits in the public domain. In contrast, the Ra'avad maintains that the leniency to carry within a square four cubits by four cubits in the public domain was granted a person only in abnormal situations - e.g., when one established this portion of the public domain as the place where he would spend the Sabbath or when he left the Sabbath limits. Under ordinary circumstances, one is not permitted to carry in the public domain at all. The Shulchan Aruch (Orach Chayim 349:1) accepts the Rambam's ruling. I.e., the distance from his elbow to the tip of his middle finger. This measure is adapted to each individual instead of establishing a single uniform figure to allow every individual the opportunity of moving articles from his head to his feet when he is lying down (Eiruvin 48a). This ruling is quoted by the Shulchan Aruch (loc. cit.). But his body is of ordinary size (Rashi, Eiruvin 48a, Shulchan Aruch HaRav 349:1). Eruvin 48a, Mechilta, Beshalach 5, and other sources. The Maggid Mishneh draws attention to a difference of opinion among the Sages, Eruvin 48a, regarding the extent to which one is allowed to carry in the public domain. Although the prevailing view is that one is allowed to carry in a square four cubits long, there are interpretations that state that one may carry four cubits in any direction. This means that although one may not carry an object eight cubits, one may carry an object four cubits on one side and four cubits on the other side. I.e., they are less than eight cubits apart. There was no Rabbinic prohibition instituted lest one carry beyond the permitted space. I.e., the individuals on the extremes are standing between eight cubits and twelve cubits from each other. Thus the squares four cubits long of those on the extremes do not overlap, yet each share a certain portion with the person in the center. Although they are forbidden to share with each other directly, as explained in the following halachah, each of them may pass an article to the person in the center, who may pass it to the other. As mentioned in the notes on the previous halachah, the transfer must take place within the four cubits, the colleague may be standing slightly further removed. A mil is approximately a kilometer in contemporary measure. The Ra'avad objects to the Rambam's ruling, noting that this leniency was mentioned in Eruvin 95b only with regard to an extreme situation - i.e., an instance where tefillin or other sacred articles might be desecrated. He contends that it should not be extended beyond that context. Although the Shulchan Aruch (Orach Chayim 349:3) quotes the Rambam's ruling, some of the later authorities (see Turei Zahav 349:1) raise questions about this leniency. The Rambam is not speaking in exact figures; the actual length of the diagonal is a fraction larger. The Maggid Mishneh mentions that there were earlier authorities who maintain that one is liable for moving an article a measure of four cubits. Nevertheless, all the later authorities accept the law stated by the Rambam. Based on Eruvin 98b, Rashi, Tosafot, and Rabbenu Asher (see also the gloss of the Ra'avad) do not accept the Rambam's ruling and place no restrictions on carrying within five and three-fifths cubits. Although the Shulchan Aruch (Orach Chayim 349:2) mentions the Rambam's view, it accepts the decision of the other authorities. Shulchan Aruch HaRav 349:2, however, states that at the outset, the Rambam's view should be followed. Similarly, a person is liable if he was standing in one of these two domains and stretched his hand into the other, removed an article from there or from the hand of a person standing there, and then returned his hand. [This applies] even though he did not place down the article in the domain in which he is standing.5 Since it is in his hand, it is considered as if it were placed on the ground. When a person was eating and passed from one domain to another, he is liable if he thought to carry the food in his mouth from one domain to the other. Although this is not the ordinary way in which articles are transferred,6 his intent causes his mouth to be considered as a place four handbreadths by four handbreadths in size. If a person standing in one of two domains extended his hand into the other, removed water from a pit full of water,8 and transferred it [to another domain], he is liable.9 The entire [quantity of] water is considered as if it is placed on the ground. As mentioned above,13 a person who transfers [an object] from one domain to another is not liable unless he removes the object from its place and places it down [in a new place]. When, however, one removes [an object], but does not place it down or places it down without lifting it up, one is not liable. When does the above apply? When [the giver's] hand is held more than three [handbreadths above the ground]. If, however, [the giver's] hand is held less than three handbreadths16 above the ground, [holding the article at that height] is equivalent to placing it on the ground,17 and one is liable. When one person is standing in either of these two domains and a colleague extends his hand from the second domain, takes an object from the person standing in the first domain and brings it in, or [the colleague] takes an object from his [domain] and places it in the hand of the person who is standing, the person who is standing [is not liable at all].18 He did absolutely nothing; it was [his colleague who] placed the object in his hand or took it from his hand. The colleague is therefore liable, for he removed the object [from its original place] and put it down [in a new place]. When a person is standing in either of these two domains and a colleague puts an object in his hand or [loads it] on his back, and the [first] person goes out to another domain [carrying] this object, he becomes liable [when] he stands [still]. 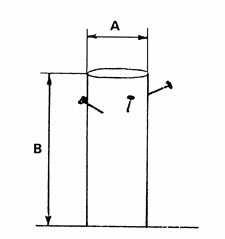 Removing his body while bearing the object is considered as removing the object from that domain, and standing while carrying the object is considered as placing the object down on the ground where he is standing. Therefore, if he went out holding the object in his hand or [carrying] it on his back and did not stand [still] in the second domain, but rather returned to the first domain while he was still holding the object, he is not liable. [This applies] even if he goes in and out [carrying the object] for the entire day until its conclusion. Although he removed [the object from its original place], he did not put it down [in a new place].19 Even if he stands [still] to adjust his load, he is not liable.20 [To be held liable, he must] stand [still] to rest. When a person removes an article from its place in the public domain and walks, [carrying] it less than four cubits and stands, [he is not liable].23 [Moreover, even if he continues this pattern[ the entire day, carrying the article less than four cubits, stopping, and then proceeding further, he is not liable.24 When does the above apply? When he stands in order to rest.25 If, however, he stands to adjust his load [within four cubits], it is considered as if he is still walking. Thus, when he stands after moving four cubits [from his original place], he is liable.26 The [latter ruling applies, however,] when he stops [a second time] after moving four cubits [from his original place] for the purpose of resting. If he stops for the purpose of adjusting his load [again], he is considered as if he is still walking. He is not liable until he stood to rest more than four cubits [from his original place]. When a person removes an article from one corner [of a private domain] with the intent of placing it down in another corner [of the same domain], the removal of the article in such a manner is permitted. Should he then change his mind and take the article out to another domain, he is not liable. [The rationale is that] the removal [of the article from its original place] was not [performed] with that intent.29 Thus, the placement of the article was [performed in a forbidden manner], but not its removal. Similarly, a person is not liable if he removes an article [from its original position] and places it on the back of a colleague who is walking, but removes it from his colleague's back when30 the latter desires to stand.31 The removal of the article was [performed in a forbidden manner], but not its placement. A person is not liable if he throws an article that is tied to a rope he is holding in his hand from one domain to another, if he can pull the article back to him. [The rationale is that] the article is not considered to have been placed down in a definitive manner.34 Thus, the person is considered to have removed the article [from its original place],35 but not to have placed it down [in a new place]. [The following rules apply when] a person throws an object and it comes to rest in the hands of a colleague: If the colleague stood in his place and received the object, the person who threw it is liable, for he both removed [the object from its original place] and caused it to come to rest.36 If the colleague [was forced to] leave his place to receive it, the one who threw it is not liable. If a person threw an article and then ran after the article himself and caught it in his hands in another domain or beyond four cubits [in the public domain], he is not liable. It is as if [the intended recipient was forced to] leave his place to catch it.37 [The rationale for these rulings is: The person who throws an article is not considered to have] caused [the article] to come to rest in a definitive manner until it comes to rest in the place in which it was intended to come to rest when it was removed [from its original place]. A person who throws an article from one private domain to another private domain is not liable, even if the article passes through the space of a public domain that separates them from each other.38 [The above applies] provided the article passes more than three handbreadths above the ground.39 If, however, the article passes less than three handbreadths above the earth and comes to rest on another object,40 the person is liable even though [afterwards,] the object [continues to] move and rolls into the other private domain.41 [Nevertheless,] it is considered as if it had remained in the public domain. Therefore, the person is liable. Similarly, when a person throws an article from one public domain to another public domain that is separated from the first by a private domain, the person is not liable.42 If, however, the article passes less than three handbreadths above the earth and comes to rest on another object, the person is liable even though [afterwards,] the object rolls into the other public domain.43 [Nevertheless,] it is considered as if it had remained in the private domain. Therefore, the person is liable. A person is, however, liable if he carries44 an object more than four cubits [in the public domain as he proceeds from] one public domain to another [although he passes through a private domain in the interim].45 The rationale is that the total of four cubits [can be reached by] combining [the area traversed in] both public domains, because the object did not come to rest in the domain between them. When does the above apply? 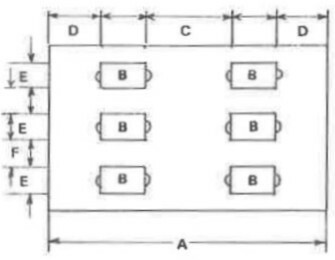 When the two private domains are positioned [parallel to each other] along the length of the public domain,51 as the wagons would proceed behind each other in the public domain. If, however, the two private domains are positioned opposite each other on either side of the public domain,52 one is not liable even if one passes53 an article from one domain to the other. When a person intended to throw an article eight cubits in the public domain, but the article came to rest [just] beyond four cubits, he is liable, because the minimum measure of the forbidden labor was performed and the person's intent was completed. [Why is this so? ]58 Because it is known that an article cannot reach a range of eight cubits without first passing through every space within that distance.59 In contrast, if a person intended to throw an article [just beyond] four [cubits] and the article came to rest at a distance of eight cubits, he is not liable, because the article came to rest in a place where he did not expect it to pass and certainly not to come to rest. Accordingly, if a person threw an object with the intent that it come to rest wherever it [landed], he is liable. In his Commentary on the Mishnah (Shabbat 1:1), the Rambam explains the rationale for this law: An object of significant size will not remain at rest if put down in such a small place. Therefore, one is not liable for placing down any objects there. An object that is positioned on a person, animal, or utensil located in a place four handbreadths by four handbreadths is considered as if it has been placed down on a place that size. This concept is also explained in the Rambam's Commentary on the Mishnah (Shabbat 1:1): The adroitness and dexterity of a human hand makes it fit to hold even very large articles that are placed in it. Therefore, an object placed in a person's hand is considered as if it were placed on the ground on which he was standing. The Maggid Mishneh cites the Jerusalem Talmud (Shabbat 1:1) as stating that a person is not liable for placing an object in the hand of another person standing in the public domain unless the latter's hand is held below ten handbreadths high. Nevertheless, as Chapter 12, Halachah 14, appears to indicate, the Rambam does not necessarily make such a distinction. It must be emphasized that a person's hand is considered as equivalent to a place four handbreadths by four handbreadths in size only when that hand is located in the same domain as he is. When, however, a person is standing in the public domain and his hand is extended into a private domain, an object placed in his hand is not considered to have been put down in the private domain. See Chapter 15, Halachah 1. See Chapter 12, Halachah 13. Eruvin 99a questions whether a person would be held liable in such an instance, and leaves the matter unresolved. Therefore, the Rambam rules that a person is not held liable. Rav David Arameah emphasizes that this halachah is speaking about an instance in which the water is at rest and not flowing. In contrast, if a person in a similar situation catches rain water in his hand and transfers it, he is not liable, because it is not considered to have come to rest (Shabbat 5a,b). In this instance as well, since our Sages (Shabbat 5b) do not resolve whether or not a person should be held liable in such an instance, the Rambam exempts him. The Rambam appears to interpret the passage cited above as emphasizing that an object that floats on water is not considered to be at rest. Hence, the criteria from removing an object from a place four handbreadths by four handbreadths cannot be met. See (Tosafot, Shabbat, loc. cit. ), which interprets the passage slightly differently. Although the matter is the subject of a difference of opinion among our Sages, the majority rule that since oil remains a distinct entity and floats on the water (see Hilchot Tum'at Ochalin 8:3), it is not considered to be resting in place. This is the contents of the first Mishnah of the tractate of Shabbat. One of the principles of Torah law that is applied in several other different contexts (e.g., constructing an eruv or a sukkah) is l'vud - i.e., that an object less than three cubits away from another entity is considered to be connected to it. And thus, in addition to the removal of the article from its place, he is considered to have performed the hanachah, the placement of the article in its new place (Rashi, Shabbat 92a). Rashi also emphasizes that although the person is standing in another domain and holding the article in his hand, the fact that his hand is attached to his body does not prevent us from considering the object as having been placed on the ground. In this context, the commentaries note the contrast to Halachah 14. The Or Sameach explains that the leniency mentioned there applies only when one throws an object, and not when one moves it from domain to domain by hand. This halachah is also based on the opening mishnah of the tractate of Shabbat. Although the person standing is not liable at all with regard to the Sabbath laws, he transgresses the prohibition (Leviticus 19:14), "Do not place a stumbling block in the path of the blind." See Tosafot, Shabbat 3a, Shulchan Aruch, Orach Chayim 347. There appears to be a slight difference between the Rambam's interpretation of the source for this law, Shabbat 5b, and that of Rashi. Note the commentaries of the Lechem Mishneh and Merkevet HaMishneh. Unless a person's intent is to rest, his standing is not significant, for it is only circumstance and not conscious decision that causes him to stand still. He is still in the midst of the activity he is performing and has not come to rest. See Halachah 10 and notes. By using the term "forbidden" rather than "liable," the Rambam emphasizes that the prohibition is Rabbinic in nature. Since this does not represent a departure from one's ordinary conduct, there is the possibility that one will stop, and thus perform an activity for which one is liable. Hence, the Rabbis forbade such conduct (Rashi, Shabbat 153b, Shulchan Aruch, Orach Chayim 266:11). Others explain that the Sages issued this prohibition because this leniency might cause the person to carry on a future occasion, or because others might carry after they saw him do so. Shabbat (loc. cit.) emphasizes that there are two difficulties involved in the person's conduct: a) carrying the object four cubits in the public domain, and b) taking the object from the public domain to his home, a private domain (for most likely, the person stopped at least momentarily before entering). Since the person began carrying the object before the commencement of the Sabbath, he has not removed the article from its place (akirah) in a forbidden manner. Hence, carrying the object four cubits in the public domain does not constitute a difficulty. In contrast, transferring the object from the public domain into one's home is problematic. Nevertheless, since this transfer is carried out in an abnormal manner, one is not liable. Shabbat (loc. cit.) mentions this law with regard to a person carrying a package. The Shulchan Aruch (loc. cit. :12) questions whether the same leniency applies when a person is carrying a wallet or another small article of that nature. The commentaries explain that since a person does not usually run when carrying a burden, the fact that he runs is a sufficient departure from the norm to remind him that stopping is forbidden. In contrast, since it is not a departure from the norm for a person to run while carrying a wallet, the Rabbis forbade doing so. Shulchan Aruch HaRav 266:13 and the Mishnah Berurah 266:34 state that in their time, when according to most authorities there is no concept of a public domain, one may follow the lenient view. There is some question, however, if this applies at present. As mentioned in Chapter 12, Halachah 15, one is allowed to carry within one's four cubits. This represents the perspective taken by most commentaries (see Shulchan Aruch HaRav 349:5). Rav Kapach, however, cites manuscripts of the Mishneh Torah that state מותר, "permitted," rather than פטור, "not liable," implying that there are no restrictions against carrying in this manner. The first time he stood, he is not considered to have performed a hanachah. In contrast, when he stood the second time, he is considered to have done so. Hence, he is liable for carrying. One is liable for moving an article only when there is akirah and hanachah. In this instance, neither of these actions had taken place. The difference between dragging and rolling and the previous instance appears to be that although the article remains in contact with the ground while being rolled, the entire article is moved from its original place at the same time. In contrast, when one lifts up the pole, one side always remains in its original place. Rashi (Shabbat 5b) explains that since the person did not perform the akirah with the intent of transferring the article to the public domain, he is not considered to have performed the forbidden labor as a purposeful act. Since it is purposeful activity, מלאכת מחשבת, that the Torah forbade on the Sabbath, he is not liable at all. Although he did perform the transfer and the hanachah intentionally, since he did not have such a thought when performing the akirah, the entire action is considered to have been performed unintentionally. According to the Rambam, however, the rationale appears to be that since the entire labor was not performed in a forbidden manner, one is not held liable. Were the person carrying the object to have stood still, he would have performed a forbidden hanachah, as mentioned in Halachah 8. Although even in such circumstances, neither of the two would have been liable (as stated in Halachah 5), when the article is taken in the manner described by the Rambam, neither is considered to have performed a forbidden hanachah. Rashi (Shabbat 102a) states that this refers to a situation where the other person had to leave his original place to catch the article which was thrown. The Sefer HaKovetz and the Merkevet HaMishneh state that according to the Rambam, the thrower is not liable even if the other person who caught the article did not move, for the article did not come to rest in the place intended by the thrower. Even if the dog's mouth or the opening of the fire is not four handbreadths by four handbreadths (see Halachah 1), the person is liable. The fact that this was the person's intent causes the place the article comes to rest to be considered as significant (Shabbat, loc. cit.). The commentaries note the contrast to Halachah 6. As mentioned in the notes on that halachah, the Or Sameach differentiates between throwing an object and moving it by hand. Throwing the object into his hands is equivalent to placing it there. If the recipient of the article must move in order to catch it, he is not liable, because the article did not come to rest in the desied place. Shabbat 5a questions whether these two separate actions, throwing and catching the article, are considered as having been performed in one continuum or not. Since this matter is left unresolved, the Rambam does not hold one liable. Although Rabbi Akiva maintains that an object that passes through the space above a domain is considered as if it came to rest in that domain, his opinion is not accepted by the majority of the Sages. The halachah follows the majority opinion (Shabbat 11:1). As mentioned previously, the space within three handbreadths of the ground is considered as l'vud, an extension of the ground. There are several other opinions among the Rishonim on this issue. Rashi (Shabbat 100a) states that this ruling applies even if the article is being blown by the wind and pauses in its progress in the midst of the air. Since it is less than three handbreadths above the ground, it is considered as being in contact with the ground. Nevertheless, if it does not pause even momentarily in its progress towards the other domain, it is not considered to have come to rest. Both the Rambam's ruling and that of Rashi are based on the opinion of Ravvah (Shabbat 97a). That Talmudic passage also mentions another opinion, that of Rav Chilkiyah who maintains that, based on the principle of l'vud, the article is considered to have come to rest even though its progress is not halted even momentarily. Rabbenu Chanan'el and the Ramban accept this view. If, however, the article passes more than three handbreadths above the ground, the person who throws it is not liable even if it comes to rest. As mentioned in Halachah 1, a person is not liable unless the article comes to rest on a surface at least four handbreadths by four handbreadths (Lechem Mishneh). Note, however, the following halachah. In his gloss to the Mishneh Torah, Rabbi Akiva Eiger draws attention to Chapter 14, Halachah 17, which appears to indicate that the Rambam does not require an object to be placed down on a surface four handbreadths by four handbreadths in the private domain. From this halachah, however, it would appear that he maintains that such a condition is necessary. Otherwise, there would be no difference whether the article was thrown three handbreadths above the ground or not. Although Shabbat 97b-98a, the source for this halachah, states this concept with regard to a person who throws an article, the Rambam alters the wording and mentions "a person who carries...." He did not make this change to exclude one who throws an article, but rather to emphasize that a person who carries an article in this manner is also liable. The commentaries offer several reasons why this emphasis is necessary. Among them: A person who throws an article does not have it in his power to return it. Hence, it is logical to assume that the area in the two public domains can be combined. In contrast, a person carrying an article can change his mind at any time. Therefore, it would have been possible to think that his entrance into the second public domain is an independent act. Hence, it is necessary for the Rambam to mention carrying (Or Sameach). Alternatively, the Rambam's choice of wording was intended to differentiate between the instance described here, and the circumstances described in Chapter 18, Halachah 24 (Sefer HaKovetz). E.g., the person was standing two cubits from the end of one public domain. He carried or threw an article over a private domain and it came to rest more than three and a third cubits within a second public domain. 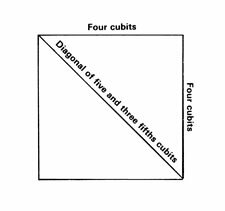 Although the article did not travel four cubits in either of the two public domains, when the sum of the space it traveled in both public domains is taken, it exceeds the diagonal of a square of four cubits. Hence, he is liable. See the diagram on the opposite page. As the Rambam emphasizes in his Commentary on the Mishnah (Shabbat 11:2), a person is liable only when he passes an article in this fashion, and not when he throws one. The circumstances in which one is liable are derived from the Sanctuary, and in that instance the Levites would pass the boards only; they would not throw them. The description of this situation is completed in the following halachah. In his Commentary on the Mishnah, the Rambam states that it would be logical to assume that a person who passes in article from one private domain to another in this manner would also be exempt, as explained in the following note. Nevertheless, since this constituted part of the service of the Levites in the Sanctuary, one is held liable. Generally, the space more than ten handbreadths above a public domain is considered a makom patur, and one is not held liable for transferring an object through it (Chapter 14, Halachah 7). Nevertheless, since the service of the Levites involved carrying in this manner, one is liable under such circumstances as well. As mentioned in the notes on Chapter 12, Halachah 12, during the Jews' journey through the desert they would dismantle, transport, and re-erect the Sanctuary. In this process, the boards for the walls of the sanctuary were carried on four wagons. They would line up in pairs on either side of the Sanctuary. The boards would be lifted from the ground to the front wagon and then passed from one wagon to the other above the space of the public domain. See the accompanying diagram taken from the Rambam's Commentary on the Mishnah (loc. cit.). Since the wagons were ten handbreadths above the ground, each of them was considered a separate private domain. The Mishnah (Shabbat 11:2) gives an example of such a situation: Two balconies in a row above the public domain. Note the diagram on the opposite page taken from the Rambam's Commentary on the Mishnah. E.g., two balconies on either side of a street (Shabbat, loc. cit.). The word "even" is used to imply that not only is one free of liability when one throws from one balcony to another, even when an article is passed by hand in this fashion, one is exempt. The reason for this exemption is that the Levites would pass the boards from wagon to wagon along the length of the public domain, but not across it. As mentioned above, logically one would not necessarily infer that a person should be held liable for transferring an article in this manner. Nevertheless, since we find that the Levites would transfer the boards in this manner, one is held liable. This applies, however, only when one transfers an article in the same manner as they would transfer the boards. I.e., forgot that it was the Sabbath or forgot that it was forbidden to transfer articles in this manner on the Sabbath. Hence, the person is considered as having performed the act בשוגג, "inadvertently." Seemingly, this law is dependent on the situation described in the previous two halachot. 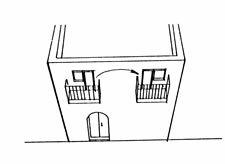 A person desired to pass an object (fruit) from one courtyard (a private domain) to another courtyard, which was separated from the first by the public domain. Nevertheless, Shulchan Aruch HaRav 348:2 states that it also applies when taking the article into the other courtyard would not make one liable for a sin offering - e.g., when they are positioned on opposite sides of the public domain. Rav Moshe Cohen and the Maggid Mishneh maintain that this law applies only when the person's hand is held less than ten handbreadths above the public domain. If, however, the person extends his hand higher then ten handbreadths from the ground, he is allowed to return it, since it is being held in a makom patur. The Shulchan Aruch (Orach Chayim 348:1) accepts this interpretation. I.e., the conclusion of the Sabbath. The Rashba in his notes on Shabbat 3a states that this restriction applies only when a person extended his hand to transfer the article before the commencement of the Sabbath. If he extended his hand outward after the commencement of the Sabbath, he is allowed to return it, lest he drop the article into the public domain, and in doing so perform a forbidden labor. Although the Shulchan Aruch (loc. cit.) mentions the Rashba's view, it rules according to the Rambam. Shulchan Aruch HaRav 348:1 quotes solely the Rambam's view. The Mishnah Berurah 348:8, however, mentions authorities who accept the Rashba's opinion. The question is based on the concept expressed in Halachah 15: A person is liable for transferring an article only when it comes to rest in the place where he intended it to when he removed it from its original place. Accordingly, it is considered as if this was implicit in his original intent. Rashi and Tosafot differ with the Rambam in their interpretation of the source for this halachah, Shabbat 97b. According to their perspective, the thrower is liable only when it makes no difference to him where the article lands. If his intent was for it to travel eight cubits, he is not liable. See the Avnei Nezer (Orach Chayim 254), which explains the theoretical difference between this view and the Rambam's ruling. In his Commentary on the Mishnah (Shabbat 11:3), the Rambam explains that the person is not liable because he did not intend to throw the article beyond the permitted distance. The Rashba offers a different explanation of this Mishnah, that the article came to rest momentarily within four cubits and then rolled beyond that distance. Since the Rambam does not mention the object coming to rest at all in this clause, he does not follow this interpretation. The Rambam would surely agree that one is not liable in the situation described by the Rashba. It is a matter of question, however, whether the Rashba would agree that the person is not liable in the situation described by the Rambam. Since the object came to rest, albeit momentarily, it is considered as if his intent were completed. Because there is no forbidden hanachah. a place that is surrounded by four walls that are [at least] ten handbreadths high and whose inner space is at least four handbreadths by four handbreadths in area. Even if such an area is several millim in size, [it is considered a private domain] if it was enclosed for the purpose of [creating] a dwelling12 - e.g., a city surrounded by a wall whose gates are closed13 at night14 and a lane that has three walls and a lechi at its fourth side.15 Similarly, a courtyard, a corral, and a stable that were enclosed for the purpose of [creating] a dwelling16 are considered private domains in a complete sense. Even vessels17 - e.g., a boat, a wooden closet, a beehive, or the like - are considered private domains18 in a complete sense if they are at least four handbreadths by four handbreadths19 in area and ten handbreadths high. אפילו כלים כגון ספינה או מגדל של עץ וכוורת וכיוצא בהן אם יש בהן ארבעה על ארבעה בגובה עשרה או יתר על זה הרי הן רה"י גמורה"
The span of the walls of the private domain is considered to be like the private domain.20 If the [walls] create a distinction [from the public domain] for another [area - i.e., the space they contain], surely they create a distinction for themselves. Even brambles, briers, and dung that are located in the public domain45 and are more than three [handbreadths] high and less than four [handbreadths] by four [handbreadths] are deemed a makom patur. Similarly, a groove that is less than four [handbreadths] by four [handbreadths] and more than three handbreadths deep, even if it reaches the earth's very depths, and a place that is surrounded by walls, but is not four [handbreadths] by four [handbreadths] in area and is more than three handbreadths high, are both considered a makom patur.46 Even if they are one thousand millim long, but the length of a barley corn less than four handbreadths wide, [they are still considered as a makom patur. Also considered a makom patur is the space above a public domain and the space above a carmelit that is more than ten handbreadths high. If, however, it is more49 or less than nine handbreadths high, [different rules apply]: If it is four [handbreadths] by four [handbreadths] or more [in area], it is a carmelit. If it is less than four [handbreadths] by four [handbreadths in area], it is a makom patur. A pillar that is located in the public domain and is ten handbreadths high and four [handbreadths by four handbreadths in area] is deemed a private domain.54 If, however, one inserted a spike in its side,55 even if [the spike is] less than three handbreadths high,56 since articles may be hung from it or it may be used [for other purposes], it reduces the height of the pillar and it is deemed to be a carmelit.57 [The pillar's] height is calculated beginning from the highest spike. Even if [the pillar] was filled entirely with spikes, its height is reduced, since articles may be hung from these spikes, or they may be used [for other purposes]. Holes [in the wall of] a private domain58 are [considered part of] the private domain.59 Holes in the public domain, by contrast, [are not considered part of the public domain, but rather] are judged according to their size. What is implied? 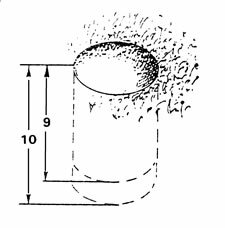 Holes located at the side of the public domain which are four [handbreadths] by four [handbreadths] and ten [handbreadths] high60 are considered as a private domain.61 If they [are this length and width, but] are not ten [handbreadths] high, they are considered to be a carmelit. If they are smaller than four [handbreadths] by four [handbreadths], they are considered to be a makom patur. It is permitted to carry throughout a private domain and a makom patur. Even if such a domain is several millim long, one is permitted to carry throughout the entire area. In contrast, one may carry only within [a square of] four cubits in a public domain and in a carmelit. If a person carried [an article], passed [it] to another person or threw [it] beyond four cubits in the public domain, he is liable. In a carmelit, one is not liable, since the prohibition against [carrying in] a carmelit is a Rabbinic decree, [enacted because] the area resembles a public domain and [the Sages were concerned] that a distinction between the two would not be made. Accordingly, if one removed [an article] for which one had no purpose - e.g., one removed a thorn from a carmelit64 so that people would not be injured by it, the act is permitted. This applies even if one carries it several cubits. The same applies in other similar instances. Just as one is forbidden to carry within a carmelit, so, too, is one forbidden to remove articles from it to a private domain or a public domain. [Similarly, it is forbidden] to bring in an article from a private domain or a public domain to a carmelit.66 If one removes or brings in [an article], one is not liable. A person is not liable for transferring an article from one private domain to another private domain via a carmelit,67 nor [is he liable for transferring an article] from one public domain to another public domain via a carmelit.68 Similarly, a person who passes or throws an article from either of these types of domains to another similar domain via a carmelit is not liable. When a person transfers an article from the public domain to a carmelit, puts it down in the latter domain, and afterwards, picks it up from the carmelit and brings it into a private domain, [he is not liable].69 [Similarly, a person who transfers an article] from a private domain to a carmelit, puts it down in the latter domain, and afterwards, picks it up from the carmelit and brings it into a public domain, is not liable. A pillar that is located in the public domain [is considered] a private domain [in the following situation]: It is ten [handbreadths] high and [possesses an upper surface] of four [handbreadths by four handbreadths] in area, but a lower surface that is not four [handbreadths by four handbreadths]. [This applies even] when its smaller end is more than three [handbreadths] high.74 [Therefore,] if a person throws an article from the public domain and it lands on [this pillar], he is liable. A mound whose incline ascends ten handbreadths within a distance of four cubits75 is considered to be a private domain.76 If a person throws an article from the public domain and it lands on [the mound], he is liable. When a person throws an article from the public domain and it lands upon a reed77 - even one that is 100 cubits high - which is implanted in a private domain, he is liable, for a private domain extends until the very heavens. When a tree's [trunk] is located in a private domain and its branches extend into the public domain, a person who throws [an article from the public domain that] lands in its branches is not liable, because the branches78 are not [automatically considered as being] in the same domain as the stem. [The following rules apply when] a person throws an article in the public domain and it comes to rest on a wall - e.g., one threw fats or dough and they became attached to the wall: If they become attached above ten handbreadths [from the ground], it is considered as if he threw the article into the air, for the space more than ten handbreadths above a public domain is a makom patur. If it becomes attached below ten handbreadths, it is as if he threw the article on the ground and he is liable.82 If he threw the article above ten [handbreadths high]83 and it came to rest in a hole that is of inconsequential size,84 he is not liable. [Conversely,] if a person throws a clod of earth into a pit that is ten handbreadths deep, and [by doing so] causes it to become less than ten handbreadths [deep], he is not liable. [This decision is rendered] because the placement of the article and the nullification of the domain occur simultaneously. An ancient commentary on the Mishneh Torah from Egypt emphasizes that the word רשות, translated as "domain," means "authority." Thus, in the context of space, a "private domain" would refer to a place that is controlled by a single authority, and a "public domain" to a place that is not controlled by such an authority. See Hilchot Eiruvin 1:4-5. In his Commentary on the Mishnah (Shabbat 1:1), the Rambam describes a private domain as "a place that is not traversed by many people." In his Commentary on the Mishnah (loc. cit. ), the Rambam describes a public domain as "a place traversed by many people." In his Commentary on the Mishnah (loc. cit. ), the Rambam explains the meaning of this term: ארמלית is the Aramaic for "widow" and the prefix כ means "like." Thus, the term means "like a widow" - i.e., neither an unmarried maiden nor a married woman. Similarly, since a carmelit is not a place traversed by many people (Shulchan Aruch, Orach Chayim 345:14), it is not classified as a public domain. Nevertheless, it is not set off from the public sufficiently to meet the criteria of a private domain. The restrictions against carrying in a carmelit are Rabbinic in origin. According to the Torah, all the places defined as a carmelit are considered as a makom patur (or in certain unique instances, a private domain). This term literally means "a place with no liability." It refers to a place that is neither a public domain, nor a private domain. The forbidden labor of transferring objects was derived from the Sanctuary and involved carrying from the private domain to the public domain or vice versa. Accordingly, one is not held liable for carrying to, from, or within any place that does not meet the criteria of these categories. Significantly, the Rambam does not mention that a public domain must have 600,000 people passing through it. Rashi (Eruvin 6a) mentions this opinion, and it was accepted by the Ashkenazic authorities after him. The rationale for this ruling is that all the forbidden labors - and particularly, the labor of transferring - are derived from the construction of the Sanctuary. The public domain in that time was the encampment of the Jewish people in which 600,000 lived. The Shulchan Aruch (Orach Chayim 345:7) mentions this view, but does not accept it. Nevertheless, Shulchan Aruch HaRav 345:11 and the Mishnah Berurah 345:23 write that it has already become public custom to accept the view that there is no possibility of a public domain in the present age. These texts do suggest that a God-fearing person should act stringently and should not rely on this leniency. This statement has raised many questions among the commentaries based on Shabbat 6b, which appears to imply that a desert was considered a public domain only when the Jews were encamped there. At the present time, a desert is considered as a carmelit and not as a public domain (Maggid Mishneh). The Kessef Mishneh attempts to resolve these difficulties by quoting a responsum of the Rambam's son, Rabbenu Avraham. Rabbenu Avraham explains that the deserts his father refers to are those wastelands that are frequently used as caravan routes. These are traversed by many merchants and are not under the control of any authority. Hence, these can surely be referred to as a public domain. With regard to this particular as well, the Maggid Mishneh raises a question, noting that many authorities consider forests a carmelit. Indeed, Rashi (Shabbat 3b) interprets the meaning of the term carmelit as referring to a "wood." The Kessef Mishneh also attempts to resolve this objection, explaining that the intent is a forest with paths that many people enter to collect wood. Thus, it refers to a place used by the public and not under the authority of a single owner. Shabbat 99a derives the necessity for the thoroughfares to be sixteen cubits wide from the way in which the boards of the Sanctuary were transferred. There were two wagons that traveled side by side, each five cubits wide. There were five cubits between them and a half a cubit on either side for a Levite to stand (Rashi). The same passage also specifies that these thoroughfares must be at least sixteen cubits in length. A space that is smaller in height or area is not fit to be used for any significant purpose (Shulchan Aruch HaRav 345:1). The Rambam's intent is not that an area that is not enclosed for the purpose of dwelling is not considered a private domain at all. Rather, as obvious from his decisions in Chapter 16, Halachah 1, it is a private domain according to Torah law. Therefore, a person who transfers an object to it from a public domain is liable. Nevertheless, if such an area is very large, the Rabbis forbade carrying within it as explained in Chapter 16. See Chapter 17, Halachah 10, and the Kessef Mishneh, which deal with the question of whether these walls must actually be closed. See Hilchot Eruvin 1:1-2, where the Rambam states that although a city of this type is considered a private domain according to Torah law, the Rabbis forbade carrying within such a city unless an eruv is made. The lechi serves in place of the fourth wall. (See Chapter 17, Halachah 2.) Rav Moshe Cohen quotes an opinion that maintains that three walls are sufficient for an area to be considered a private domain. This difference of opinion is explained in the opening halachot of Chapter 17. The Kessef Mishneh emphasizes that by mentioning these places, the Rambam implies that we can generally assume that they have been enclosed to serve as a dwelling. This refers to a vessel of this size that is placed in the public domain (Shulchan Aruch HaRav 345:10; Mishnah Berurah 345:13). This refers to both the inside and the upper surface of the vessel (Shulchan Aruch HaRav 345:10; Mishnah Berurah 345:16). If the container is round, its surface must be large enough to contain a square of that size (Shulchan Aruch HaRav 345:10; Mishnah Berurah 345:15). See Halachah 18. The difference between a private domain and a public domain in this particular case stems from the fact that the space above a person's domain belongs to him. He will build his own property high and place objects within this space. In contrast, the public domain is set aside for people to pass through, and no one has permission to build in the space above it (Kinat Eliyahu). If the mound is less than three handbreadths high, the principle of l'vud is applied, and it is considered part of the public domain (Rambam's Commentary on the Mishnah, Shabbat 1:1). Just as a public domain does not occupy the space ten handbreadths above the ground, so too, a carmelit does not extend above that height. A mound with a smaller area is a makom patur, as mentioned in Halachah 7. The converse of the principles applying to a mound apply in this instance. See Halachah 8 with regard to a pillar nine handbreadths high. These walls are sufficiently high to separate the place from the public domain, but not high enough to set it off as a private domain. Were the space to be smaller than this, it would not be considered significant, and would be classified as a makom patur. See Chapter 17, Halachah 2. These fields are not surrounded by fences ten handbreadths high (Maggid Mishneh). As mentioned in Halachah 3, the space more than ten handbreadths above the public domain is considered as a makom patur and not a public domain. Surely, this applies with regard to a carmelit, which - in most instances - is a makom patur according to the Torah and was taken out of this category only by Rabbinic decree. The practical ramifications of this concept are mentioned in Chapter 15, Halachah 20. I.e., even if the sea is hundreds of cubits deep, the entire depth is considered a carmelit, and the leniencies of a makom patur are not granted. See also the responsum of the Rambam quoted by the Kessef Mishneh Chapter 27, Halachah 3. On the other hand, the Rashba and other authorities object to the Rambam's ruling as stated in our text. Since this vat can be considered an independent entity, seemingly, it would be more appropriate that it be considered a makom patur and not a carmelit. The Kessef Mishneh justifies the decision quoted in our text, explaining that since a carmelit is itself a makom patur according to Torah law, it is impossible for a makom patur to be established within it. Instead, the entire area is considered a single carmelit. Note a similar concept in Chapter 17, Halachah 11. This rationale is accepted as halachah by the Ramah (Orach Chayim 345:18-19). E.g., in Talmudic times, a market place with a roof; in contemporary situations, a shopping mall. The encampment of the Jewish people in the desert, the source for the prohibition against carrying, was not covered and had paths that were sixteen cubits wide. Accordingly, although an area would for all intents and purposes be considered a public domain, it is not placed in that category with regard to the Sabbath laws unless it confirms to these criteria. Where merchants display their wares. The commentaries to Eruvin 94a describe this as referring to the space left between the public domain and a house built in an abnormal manner that causes obstructions to passersby. The Rashba and others differ with the Rambam's ruling and maintain that the space between the pillars is not considered part of the public domain, because the merchants hang their wares there. Moreover, the very structure of the space does not allow people to walk there comfortably. The Shulchan Aruch (Orach Chayim 345:14) appears to accept the Rambam's ruling, and this decision is accepted by Shulchan Aruch HaRav 345:21. Note, however, the Mishnah Berurah 345:50, which maintains that the majority of halachic authorities follow the more lenient view. Since it is less than four handbreadths by four handbreadths, it is not considered significant enough to be deemed a private domain. Because of the principle of l'vud. A makom patur can exist only in the public domain, and, according to certain opinions, in a carmelit. (With regard to a carmelit, note the difference of opinion between the Rambam and the Rashba mentioned in the previous halachah.) In a private domain, by contrast, there is no concept of a makom patur. The concept that a private domain must be four handbreadths by four handbreadths and not merely sixteen square handbreadths is derived from two laws mentioned in Shabbat 8b. Thus, a makom patur may have a very large total area. According to the general principles mentioned previously, it would be classified as either a carmelit or a makom patur, as is obvious from the conclusion of the halachah. Nevertheless, since its height is appropriate to unload and load burdens, it is used frequently by the passersby in the public domain. Hence, it is considered an extension of that domain. The Maggid Mishneh quotes the Ra'avad as maintaining that the pillar must be four handbreadths by four handbreadths to be considered part of the public domain. The Shulchan Aruch (Orach Chayim 345:10) does not place a limit on the pillar's size. Most authorities have interpreted the Rambam's words to mean that since the pillar is this height, it is fit to be used to load and unload. Even if it is not used for this purpose, since it is suited for it it is considered part of the public domain. The Shulchan Aruch (loc. cit.) follows the Ra'avad's decision. Nevertheless, the Eliyahu Rabbah suggests respecting the popular interpretation of the Rambam's view. In his gloss on Shabbat 8a, Rabbenu Asher differs and maintains that a pillar that is between nine and ten handbreadths high is also considered par4t of the public domain. This slight addition in height does not make it uncomfortable to use. Although the Shulchan Aruch (loc. cit.) quotes this view as well, the Rambam's ruling is accepted by most authorities (Mishnah Berurah 345:36). 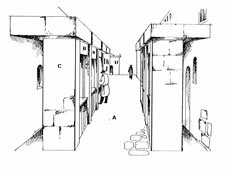 Although the roof is less than ten handbreadths high when measured from the side of the public domain, it is ten handbreadths high from the side of the courtyard (Maggid Mishneh citing the Rashba). According to the Torah, this roof is a private domain and there is no reason why it should not be used by its owner. Nevertheless, since it is easily accessible from the public domain and is used by passersby there during the week, the Rabbis forbade its owner from carrying upon it on the Sabbath (Eruvin 84b). Note the Shulchan Aruch (Orach Chayim 361:1), which accepts a differing interpretation of the passage offered by the Rashba and permits carrying on the roof, but prohibits transferring an article from the adjoining courtyard to the roof. I.e., it remains there during the week as well as on the Sabbath (Maggid Mishneh). Since the owner has set up a ladder leading to the roof from the adjoining courtyard, it is obvious that he intends to use the roof and that it is part of his domain. This makes it distinct from the public domain. Since it is ten handbreadths high, it is not part of the public domain, and since it is four handbreadths by four handbreadths, it is of significant size to be considered a domain in its own right. This ruling follows Rabbenu Chanan'el's interpretation of Eruvin 78a. Rashi and the Ra'avad interpret that passage differently. And thus is considered to be an extension of the ground, because of the principle of l'vud. Since these spikes are used by the passersby in the public domain, they are considered part of that domain. Therefore, the height of the pillar is calculated from the highest spike. If it is not ten handbreadths high from that point upward, it is not considered to be a private domain. 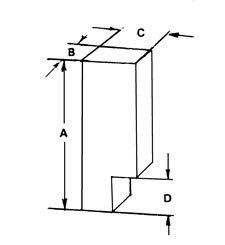 See the above diagram. This refers to holes in the wall that face the private domain. Even if they extend through the entire breadth of the wall and also open up to the public domain, they are considered part of the private domain (Shulchan Aruch HaRav 345:8; Mishnah Berurah 345:9). The Rambam does not not make any specifications regarding the size or the height of these holes. His view is accepted by the Shulchan Aruch (Orach Chayim 345:4), although other Rishonim differ. The intent is not necessarily that the hole be ten handbreadths high, but that its floor be ten handbreadths above the ground. An area that is four handbreadths by four handbreadths is significant enough to be considered a separate domain. This ruling applies even if the holes are four handbreadths by four handbreadths and thus are of significant enough size to be be considered a separate space. Since they are within three handbreadths of the ground, they are considered part of the public domain (Mishnah Berurah 345:46). As mentioned in Chapter 1, Halachah 7, according to the Rambam, who maintains that one is liable for performing a מלאכה שאינה צריכה לגופה, this leniency applies only in a carmelit and not in the public domain. As mentioned in the notes on that halachah, many authorities differ with the Rambam and maintain that the prohibition against performing a מלאכה שאינה צריכה לגופה is Rabbinic in origin. Therefore, it is bypassed when there is a danger involved. This view is accepted by the Shulchan Aruch (Orach Chayim 278:1). Accordingly, if a person discovers that he is unwittingly carrying an object in the public domain, he should deposit it in a makom patur. The Shulchan Aruch (Orach Chayim 346:2) states that one may pass an article from one carmelit to another - e.g., from a sea to a valley [of fields] - provided one does not pass it more than four cubits. See also Chapter 16, Halachah 2. This ruling applies only when one does not carry the article more than a total of four cubits in both public domains combined, as stated in Chapter 13, Halachah 17. A person is liable for transferring an article only when he removes an article from either a private or a public domain and places it down in the other in one uninterrupted sequence. This concept is the subject of a difference of opinion among the Sages (Shabbat 5b). Although the majority of the Sages follow the ruling quoted by the Rambam, ben Azzai differs. He maintains that a person who walks through a domain - even though he does not stop to rest - is considered to have stood there. Thus, in the above instance, the article the person is carrying is considered to have been placed down in the makom patur. Hence, he would not be held liable. The Maggid Mishneh mentions that in this halachah, the term makom patur also applies to a carmelit, since according to Torah law, a carmelit is also a makom patur. The rationale for the Rambam's ruling can be understood based on the comments of the Radbaz cited in the notes to Chapter 15, Halachah 1. According to the Rambam, a person is liable for transferring an article only when he is standing in one of the domains involved in the prohibited transfer. If he is standing in another domain, he is not liable. As mentioned in the notes to that halachah, most other authorities do not accept the Rambam's basic principle. Needless to say, even according to the Rambam, transferring an article in this manner is forbidden. Note Shulchan Aruch HaRav 346:2, which states that if the person transfers the article immediately, without resting his hand at all in the makom patur, he is liable. This ruling applies only when one stands to rest. Should the person stand merely to adjust his load, he is liable. See Chapter 13, Halachot 8 -10. The pillar is considered to be a private domain because it is ten handbreadths high. Were the smaller surface to be less than three handbreadths above the ground, there would be no difficulty in such a statement, because of the principle of l'vud. The new concept taught by this ruling, which is based on Shabbat 101a, is gud acheit mechitzata, "pull down and extend the partition downward" - i.e., the circumference of the pillar is considered to extend to the ground, and thus the entire pillar is considered as being ten handbreadths high. The above explanation follows the standard published texts of the Mishneh Torah, which have the support of some early texts. It parallels Rashi's understanding of the above Talmudic passage. Tosafot and the Rashba, however, interpret that passage differently and maintain that there is a proviso that must be met in regard to the principle gud acheit mechitzata: It is accepted only when young goats are not able to pass under the partition in question. Therefore, in this instance, since the narrow portion of the base is small, it would appear that young goats would be able to pass under the open portion. Accordingly, they offer a different interpretation, stating that this ruling is applicable only when the lower surface of the pillar is less than three handbreadths above the ground. There are many manuscripts and early printings of the Mishneh Torah whose text indicates that the Rambam subscribes to this latter view. Furthermore, this perspective parallels the Rambam's rulings in Hilchot Sukkot 4:4. This view is quoted as halachah by the Magen Avraham 345:1. It must be emphasized, however, that the halachot that follow and their interpretation appear - although not conclusively so - to indicate that the Rambam subscribes to the principle of gud acheit in other contexts similar to the situation described here. Rashi (Shabbat 100a) explains that since the incline is so steep, it is not easy for people to walk there, and it is therefore considered a private domain. If, however, the incline is milder - e.g., it ascends ten handbreadths in five cubits - people can walk there easily. Therefore, it is not considered to be a distinct entity, but part of the public domain. The mention of a "reed" by Shabbat 7a, the source for this halachah, is very significant, because a reed is narrow. In Chapter 13, Halachah 1, the Rambam states that a person is not liable for transferring an article unless he places it down on a surface that is at least four handbreadths by four handbreadths. A reed is obviously not that size. Based on that passage, Rashi, the Ramban, and the Rashba maintain that the above principle applies only in the public domain and not within a private domain. The Maggid Mishneh and others interpret the Rambam as accepting this principle as well. Accordingly, they question why he did not state this exception in Chapter 13, when laying down the general principles regarding this forbidden labor. The Ma'aseh Rokeach offers an alternative to this explanation, noting that Shabbat 102b holds one liable for throwing an article into the mouth of a dog or into the mouth of a furnace even though they are less than four handbreadths by four handbreadths. Why? Since this was the person's desire, this intent causes the place to be considered as if it were the required size. Similarly, in this instance, if one desired the article to rest on top of the reed, that intent is sufficient to cause one to be liable. Rav David Arameah states that the branches are considered to be a makom patur. Surely this would be true if the branches are ten handbreadths high. Although Rav David Arameah offers a different interpretation, most commentaries render טרסקל as "basket. This ruling applies regardless of whether the article is thrown from a private domain or a public domain. Were the article to have been thrown from a private domain, the person would not be liable, for the space more than ten handbreaths above a public domain is not considered to be part of that domain. Were the article to have been thrown from the public domain, the person is not liable, for the basket is not considered to be a private domain. This decision applies even when the basket is four handbreadths by four handbreadths. Shabbat 101a relates that one might think that since the surface is four handbreadths by four handbreadths and it is more than ten handbreadths high, it would meet the criteria for a private domain. 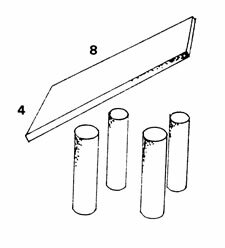 Nevertheless, this is possible only based on the principle gud acheit mechitzata, "pull down and extend the partition downward" - i.e., that the edges of the basket would be considered as extending to the ground. This principle is not applicable in the present instance. The p rinciple gud acheit is applicable (see Halachah 16) only when the area through which one would like to "extend the partition" could not be "entered by young goats." Since the entire area beneath the basket is open, the principle cannot be applied. The Ra'avad objects to the addition of the latter phrase, maintaining that even if the basket were less than ten handbreadths high, it would be considered a carmelit, and a person who threw an object into it would not be liable. The Maggid Mishneh explains that the Rambam was not focusing on that dimension, but rather was differentiating between this halachah and the previous one, which describes a reed implanted in a private domain. The intent was to emphasize that unlike a private domain, the rules governing a public domain apply only within ten handbreadths. See also the Or Sameach, who brings a proof from Halachah 19 that although utensils can create a private domain, they cannot create a carmelit. Provided the article traveled four cubits. 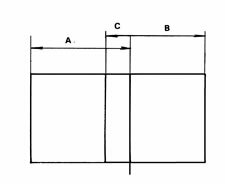 In his Commentary on the Mishnah (Shabbat 11:3), the Rambam mentions that the four cubits are measured in a direct line from where the person is standing to where the article became attached to the wall. The same ruling would apply if the hole were less than ten handbreadths high. The Rambam quotes this law in this fashion to negate the opinion of Rabbi Meir, Shabbat 7b. If, however, the hole is four handbreadths by four handbreadths, he is liable, as stated in Halachah 10. Since the reed is more than ten handbreadths high, its upper end is in a makom patur. One is liable only when the entire article comes to rest in the public domain (Rashi, Shabbat 8a). Compare to Chapter 13, Halachah 11. The Rambam's interpretation of this law is paralleled by Tosafot, Shabbat 8a. Note Rashi, who offers a different i nterpretation. As mentioned in Halachah 1, if the pit is ten handbreadths deep, it is considered to be a private domain. If its depth is even slightly less, it is considered to be a carmelit, and one is not liable for throwing an article into it from the public domain. Shabbat 99b leaves this and the law mentioned in the latter clause of this halachah as unresolved questions. Therefore, the Rambam rules that the person is not liable. Such a situation could arise if the spikes were more than ten handbreadths high, and the board - four handbreadths by four handbreadths. In such a situation, the criteria for a private domain would be met. The Rashba questions this, noting that "goats could enter" the space beneath the spikes, and thus, the principle gud acheit mechitzata could not apply, as explained in the notes on Halachah 18. He interprets this as referring to a situation where spikes were implanted in a wall at the side of a private domain. Note also the interpretation of Tosafot, Shabbat 99b who interpret this as referring to a situation in which the spikes on two sides of the board are close enough to constitute an actual wall. Therefore, the roof can be considered as creating the third and fourth sides. According to the Rambam, as is explained in Chapter 17, Halachot 3 and 35, three walls of spikes would be required. Although the article comes to rest slightly after the board does, the Talmud does not resolve the question whether this brief amount of time is of consequence or not. Therefore, the Rambam does not hold the person liable. Our translation is based on manuscripts and early printings of the Mishneh Torah. The standard published text reads "in a public domain," which is enigmatic. Shabbat 100a mentions a difference of opinion regarding this matter. The Rambam follows the opinion of Abbaye, for he is the latest of the Sages to venture an opinion on this question. The Rashba notes that this law applies only when one intends to leave the mat in this place permanently. If one intends to remove it, it is not considered to have divided the pit. Since the mat has a minimal thickness of its own, each side of the pit is slightly less than four handbreadths. Rav Kapach explains that this law does not represent a contradiction to Chapter 13, Halachah 4, for in a private domain it is not necessary that an object come to rest on a surface that is four handbreadths by four handbreadths. Nevertheless, with regard to the removal of an object, it is necessary that it be at rest on a surface of four handbreadths by four handbreadths for the person to be liable. The Maggid Mishneh differentiates between water and a pit as follows: The water is clear and the contours of the pit can be seen. Therefore, the domain is not considered to be nullified. In contrast, the produce covers the pit and prevents its contours from being seen. Therefore, it is considered to have reduced its size. The Maggid Mishneh also mentions opinions of the geonim who maintain that the produce in question must be of a type that the person intends to continue storing within the pit. A similar thrust is apparent in the Rashba's interpretation of this law as referring to produce that is tevel and may not be moved on the Sabbath. Note the Or Sameach, who cites Hilchot Eruvin 3:13, which states that an article that can be taken on the Sabbath does not reduce the size of a domain. Accordingly, he suggests an original explanation, stating that this law refers to a pit filled with produce that the public could walk on - e.g., nuts or grain. Since people at large will not hesitate to walk over such a surface, the pit is no longer considered to be a private domain. Although a place is not considered a public domain unless people actually walk through it, since there are some individuals who walk through this ditch - although they are in the minority - it is still placed in this category. Although a pit between three and ten handbreadths deep is usually regarded as a carmelit if it is four handbreadths wide, or a makom patur if it is narrower, an exception is made in this instance. Since the traffic of the public domain continues to pass, albeit with difficulty, through this ditch, it is not considered to be a separate domain (Shabbat 100b). Since it has walls steep enough to be considered a domain of its own, it may not be considered part of the public domain. The Or Sameach questions why this irrigation ditch is not considered to be a private domain; he explains that since water is flowing through it rapidly, it may not be used as a private domain. A similar conception is also reflected in the Shulchan Aruch HaRav 345:15,19 which states that according to the Torah, this would be considered as a private domain. Nevertheless, since it resembles a sea, the Rabbis applied the laws of a carmelit to it. See also the Pri Megadim 345:11 which deals with this difficulty, based on a principle explained by the Maggid Mishneh cited above. He explains that this halachah refers to a ditch with dirty water. Hence, its contours cannot be seen and therefore it is not considered as a private domain. Hence, the area would be considered to be a makom patur.